Produce Stand And Bird Feeder, 2005 is a sculpture by Leizel Grant which was uploaded on July 25th, 2016. 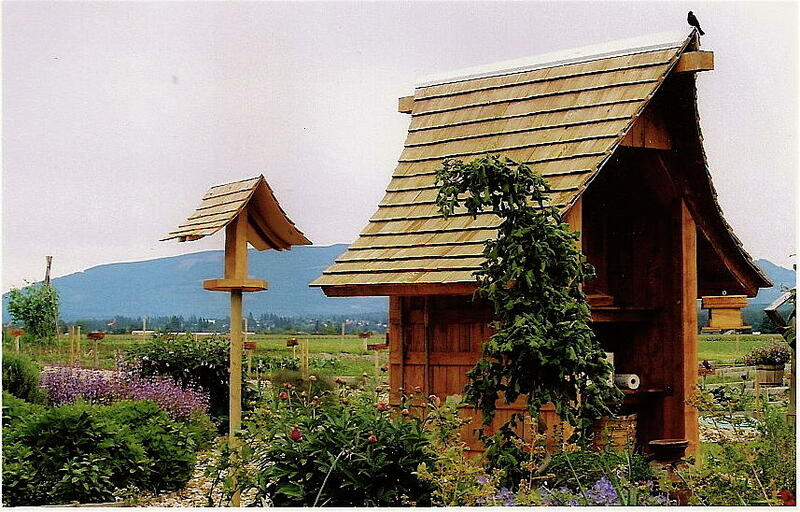 In 2004 Leizel built her first unique curved-roof garden structure out of reclaimed Cedar and Alder wood. She used it as a toolshed and road-side produce stand for her Community Supported Agriculture (CSA) business. Set in beautiful Skagit Valley, Washington, just a few miles away from the salty waters of the Puget Sound, it is surrounded by hundreds of acres of tulip fields and has a stunning backdrop of the snow-capped North Cascade Mountain range. There are no comments for Produce Stand And Bird Feeder, 2005. Click here to post the first comment.